Economical and heavy weight, Kraft underlay paper is often used in cutting rooms and by pattern makers and designers for creating the initial pattern. 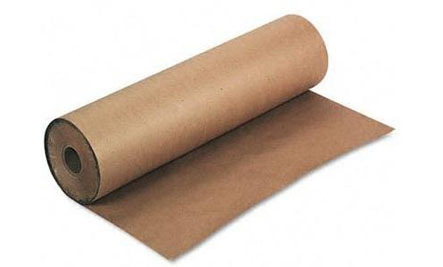 Kraft paper has many other uses as a low cost, multi-purpose packaging material. It can be used for wrapping any item for shipment to protect the shipped products. It can also be used as a cushion inside a shipping carton or other shipping containing. Kraft paper is smooth, strong, and crisp. Economical and heavy weight, Kraft underlay paper is often used in cutting rooms and by pattern makers and designers for creating the initial pattern. It provides high performance as a lower cost option among other pattern papers.